Arbordale Publishing is on a mission to create picture books that excite children’s imaginations, are artistically spectacular, and have educational value. 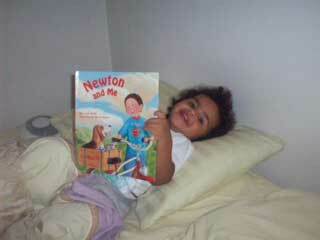 We have a special interest in bringing science and math to children through quality literature. There is no better gift that parents and adults can give to young children than reading to them on a regular basis. Reading picture books to children provides a strong foundation for ALL learning in the future—not just the love of reading (the foundation for all subjects studied in school) but by building a strong vocabulary. Young children are also naturally inquisitive about the world around them. How many parents have been asked “why” about things? Young children are sponges to learn about the world around them—that love of learning can continue through life if the fire is lit at an early age. We believe that young children are capable of understanding and can get excited about science and math at a very young age. We also believe that young children learn and remember things better if they are “engaged” somehow. Arbordale Publishing provides fun-to-read picture book stories with underlying, but subtle, science and math themes to “light the fire” of inquisitiveness. 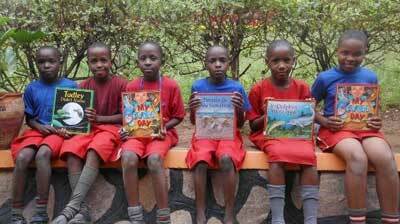 The books have a “cuddle factor” so that parents can comfortably read the books to children on their lap or at bedtime. Each book includes 3-6 pages of “For Creative Minds” in the back of each book with easy-to-understand activities specifically designed so that parents and adults can become the “teachers” even when they don”t remember the underlying subject. The parents are given the tools they need to answer the ”why“ questions. The activities are also designed to engage children and are so much more than a list of “fun facts. ” Activities may include matching, sequencing, and true/false questions to develop critical thinking skills. These activities make each book so much more than a picture book hellip;the books become tools to get readers (the children AND the adults in their lives) excited about the underlying subjects and to become a ”launch pad“ for more discussions and learning.